Popular festivals in Israel are undoubtedly marked by the Jewish religion, as with the cuisine, which is noticeable in the preparation of the dishes and the way of combining foods. In this sense, festivals in Israel mostly have a marked religious emphasis. 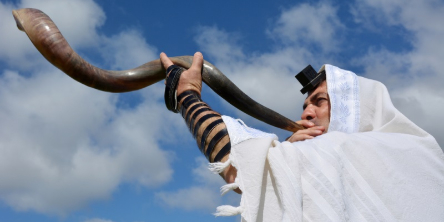 Many of the popular festivals in Israel begin with the playing of the Shofar, a ram’s horn, which is the most traditional way of announcing events in Israel, especially with traditional celebrations. But let’s look, month by month, at which are the events in Israel that you have to bear in mind when it comes to planning your trip. On the 15th day of the month of Shevat (January - February), in rabbinical sources, it is called the new year of the fruit trees. This is relevant for the sabbatical year, tithe and other purposes, although this festival is not as religious as others. Rather, Tu BiShvat is a day when trees are planted, and it serves as an incentive for the Jewish National Fund and the local authorities to get involved in reforestation. Una de las fiestas populares de Israel es la Fiesta de Purim, que tiene lugar a comienzos del mes de marzo. Esta festividad coincide con el decimocuarto día del mes judío de adar. Podría decirse que es una especie de carnaval en la que los participantes se entregan regalos. El nombre deriva de la palabra pur (suerte en hebreo), y rememora el relato contenido en el libro de Estherm, donde se cuenta cómo los judíos se salvaron de ser exterminado por orden del rey persa Asuero. Of all the festivals of Israel, Passover, also known as the feast of unleavened bread, is the most important time of the Jewish calendar. During this festival, Jewish people remember the end of slavery of their ancestors in Egypt. During the celebration, families get together to share the traditional Easter lamb, which they serve with unleavened flatbread (without yeast). This bread honors the Jews who, when they fled the Pharaoh, didn’t have time to allow the bread to rise. One of the events in Israel that coincides with the eve of the National Day, is the Memorial Day, which is celebrated on the 13th May. It commemorates those who lost their lives fighting for the country’s independence. For the entire day, torches are lit on the western side of the Wailing Wall or Kotel Hamaaravi. In addition, families honor the dead, making offerings in the cemeteries. In many religious communities, they read chapter 9 of Psalms, which is entitled Concerning the Death of the Son. As you will see, religion is very prominent in each festival and celebration of the Jewish people. At the end of May and beginning of June, the Harvest Festival takes place. During this festival, also known as Pentecost, worshippers give thanks to God for the harvest. It also celebrates the moment Moses received the Tables of the Law with the Ten Commandments. One of the most popular festivals of Israel which isn’t really a festival is the Tisha B’Av, or Day of Mourning. The ninth day of the month of Av, between July and August, commemorates the destruction of the Temple of Jerusalem at the hands of the Romans in 70B.C. During this time, they remove all decorations from the synagogues, at the same time as mourning and fasting. This is one of the events in Israel that serves as a reminder of the creation of man and woman. As well as commemorating the moment of creation, worshippers start a period of reflection and repentance lasting for 10 days. Once this time has passed, the confinement ends with a large feast: the feast of Atonement or Great Pardon. This feast of the Great Pardon, is the well-known festival of Yom Kippur. Yom Kippur takes place at the end of September, and in more traditional areas a goat is sent into the wilderness, as a symbol of the errors committed by the Israelis. During the month of October, the Festival of Tabernacles is one of the popular festivals of Israel which is most celebrated. During the festival, thanks are given to God for the fruits obtained during the harvest and gathering of fruit. Commemorating the ancient Hebrew people, people camp in tents in the desert. It is one of the most joyful festivals of the Jewish calendar, for eight days, participants celebrate abundance and good tidings. During November and December, especially during this last month of the year, some of the best-known popular festivals in Israel occur. Hanukkah or the Festival of Lights. This festival commemorates the consecration of the Temple, during the celebration 9 Hanukkah candles or a menorah are lit. Bear in mind these celebrations and events in Israel when you are preparing your trip. You won’t just be able to coincide with the festivals of the country's culture, but also find out first-hand about its religious tradition.